SHAQ WANTS TO be back in a video game. Shaquille O’Neal says he’s seeking redemption for “Shaq Fu,” his infamous fighting game originally released in 1994 that’s now considered to be among the worst games ever made. In return, backers could receive anything from a pair of autographed size-22 sneakers to a pick-up basketball game and lunch with Shaq, depending on how much they donate. In the original “Shaq Fu,” O’Neal’s character stumbles across a kung fu dojo while taking a break from playing a charity basketball game in Tokyo. He discovers a portal inside to another dimension where he engages in “Mortal Kombat”-like battles with such characters as an evil mummy, voodoo priestess and cyborg police officer. The game was derided by Shaq fans for its cheesy story, wonky controls and blatant attempt to cash in on O’Neal’s superstar status. “Shaq Fu” prompted one group of gamers to create the site ShaqFu.com and post photos and videos of fans destroying copies of “Shaq Fu” in unusual ways. The studio said “A Legend Reborn” will feature Shaq taking on hordes of enemies with hundreds of different moves, as well as melee weapons, in various levels. The game’s soundtrack will be created by Steve Molitz and feature remixed renditions of Shaq songs. “The graphics, animation and storyline are definitely going to be top of the line,” said O’Neal. Utilising crowd-funding services such as Indiegogo and Kickstarter has become an increasingly popular method for game developers to fund new titles. Kickstarter said earlier this week that more money has been pledged to game projects than any other category since the site launched in 2009. However, that’s typically for small indie or niche gamemakers. Why is a multimillionaire like O’Neal asking fans to open their wallets to resurrect “Shaq Fu” instead of simply coming up with the cash himself? “Shaq Fu” funders who donate $15 on the game’s Indiegogo site will receive a copy of the game, while those who donate big bucks will be granted various prizes and opportunities, such as $400 for admission to a “Shaq-Fu” launch party; $600 for O’Neal to record an outgoing voicemail message; $3,000 for a size 22 sneaker signed by O’Neal; and $15,000 for lunch and a pick-up basketball game at one of O’Neal’s houses. The planned return of “Shaq-Fu” doesn’t mean the 41-year-old basketball champ wants to similarly revive other past side projects, such as his big-screen alter-egos “Steel” and “Kazaam,” or his rapping career. 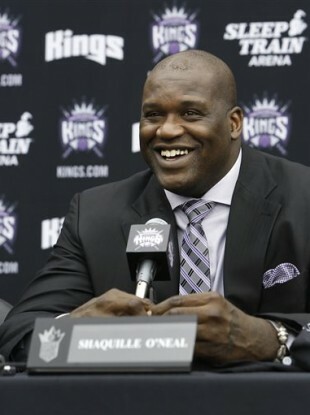 “I’m way too old to be doing that, but I’m never too old to whoop some (expletive),” said O’Neal. Email “Shaq wants you to fund the sequel to one of the worst games ever made”. Feedback on “Shaq wants you to fund the sequel to one of the worst games ever made”.